Thanks For a Great Season! Please Check back later for more info on the 2020 Season. Important Dates: Registration for the 2020 Season will Begin in November 2019. Please check back later for an exact date. 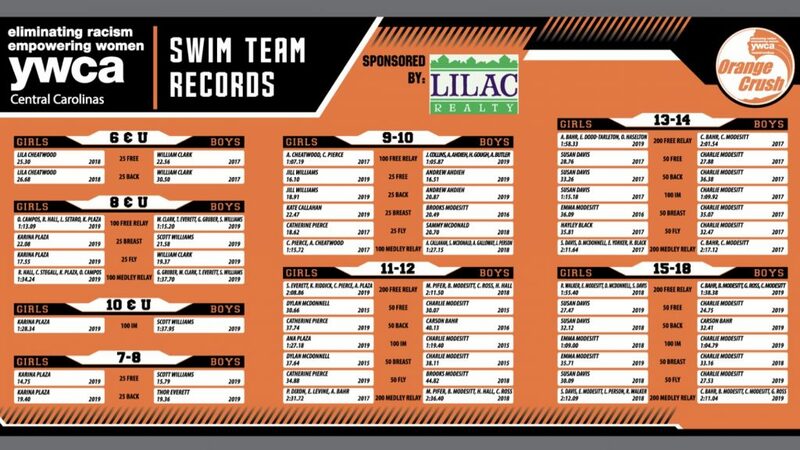 The YWCA Orange Crush swim team seeks to promote each swimmer’s personal best in a non-competitive, team-oriented and fun environment. Our coaches are committed to developing strong swimmers through quality instruction while encouraging each child to improve at their own level. 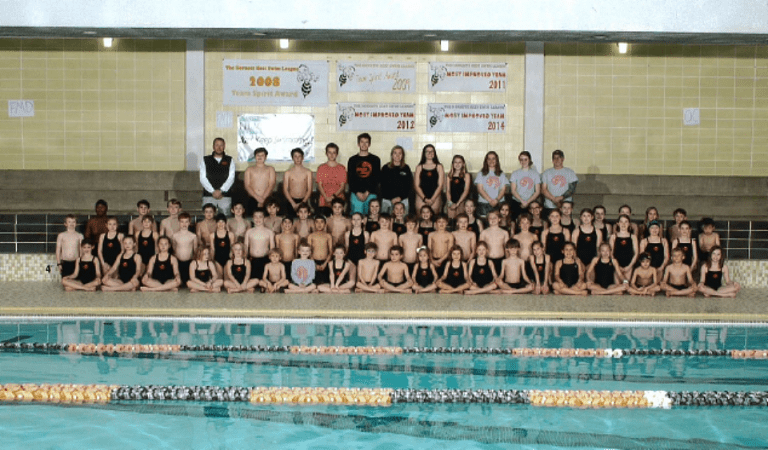 It is the vision of Hornets Nest Swim League to promote a less competitive swim league in which children may compete, learn and improve without pressure or controversy. Boys and Girls, ages 5 -18. Minimum requirement is the ability to swim 25 yd. front crawl (freestyle) and 25 yd. backstroke within 3 minutes. League Rules limit teams to 100 participants at each swim meet. Participation is open to YWCA members and non-members who have paid the registration fee. Every swimmer must be 18 years or younger and not more than a high school senior. Currently active U.S.S. swimmers are not eligible to participate. High school swimmers must attend at least 50% of practices with the team they represent. Team roster for any meet (dual or league) may not exceed 100. The age level of each swimmer shall be determined by age as of January 1, 2020. Each swimmer shall swim in that level for the entire season. However, if a swimmer’s birthday is during the season, he/she may elect to move up for the entire season. This choice must be made before the first meet and may not be reversed.